Martin Padgett June 18, 2018 Comment Now! There’s one place where you can get great fried chicken livers on a Sunday morning in Georgia, before church is out. It’s a low-ceiling kind of place, tacked on to a gas station, the hallmark of fine low-priced dining across the south. Over the first glorious spring weekend this year, I knew the fastest way to get there, not the highway route, but a snake-backed two-lane with enough kinks to merit its own DSM classification. And I had just the thing to get there. It’s the 2018 Porsche 911 GT3, a car so blisteringly fast it set a stunning 7:12.7 lap time on the Nurburgring. With the 911 GT3, Porsche isn’t chasing raw numbers, though. “We’re chasing a feel,” Porsche’s sports-car guru Andreas Preuninger told us last year. How does it get there? All the usual freak flags fly with its 4.0-liter flat-6 engine. Like any other living, breathing creature, the 911 GT3 pinks up from its very first breath of air, in this case the exit ramp off GA-400. Torque builds almost instantaneously off the line, but the GT3 is a high flyer, too. It charges up to 500 horsepower at 8,250 rpm and 339 pound-feet of torque, as it shrieks to a heady 9,000-rpm redline, served up thanks to a beefy crankshaft and connecting rods. There’s no missing its arrival or its departure through the first and best esses off the highway. 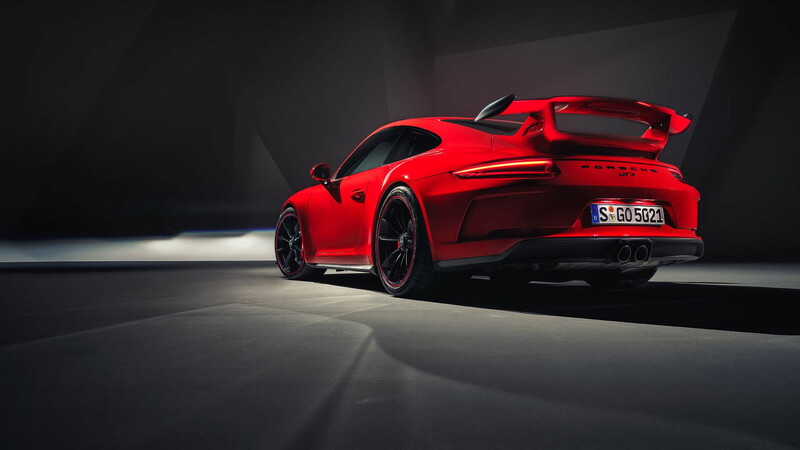 The GT3 dons two exhaust resonance flaps to generate all the sonorous sounds. Flung from crest to curve after it leaves four-lane state highway, the GT3 crackles and howls at 6,000 rpm as it rounds off 45-mph curves at nearly twice that speed. You don’t need to flip through all its gears to extract curse words of joy, but you’ll want to. A 6-speed manual transmission weighs less (3,116 pounds versus 3,153 pounds) and sports the sports-car golden number of pedals—but Porsche’s dual-clutch gearbox comes closer to godliness. 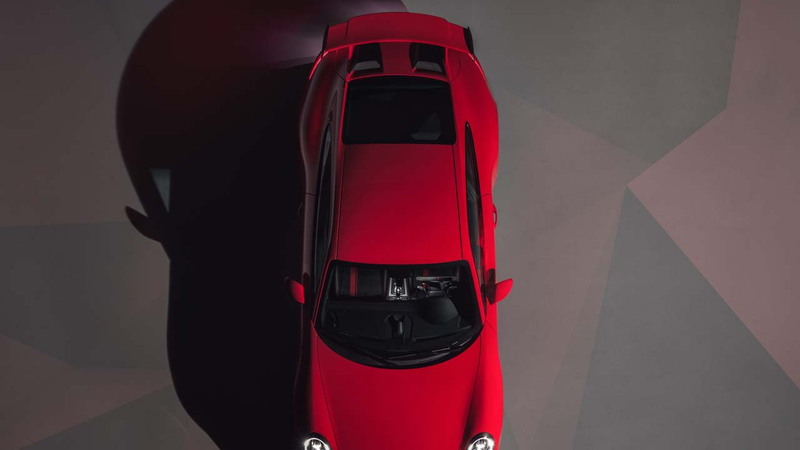 With seven forward speeds, and paddle shift controls that toggle the 911 GT3 into the frothiest and most playful part of its powerband, the PDK GT3 zaps more than a half-second off the car’s 0-60 mph time, 3.2 seconds to the manual’s 3.8 seconds. Its top track speed stands at 197 mph with PDK, and 198 mph with the manual transmission. Sixty percent of that or more shows up on its big dial. 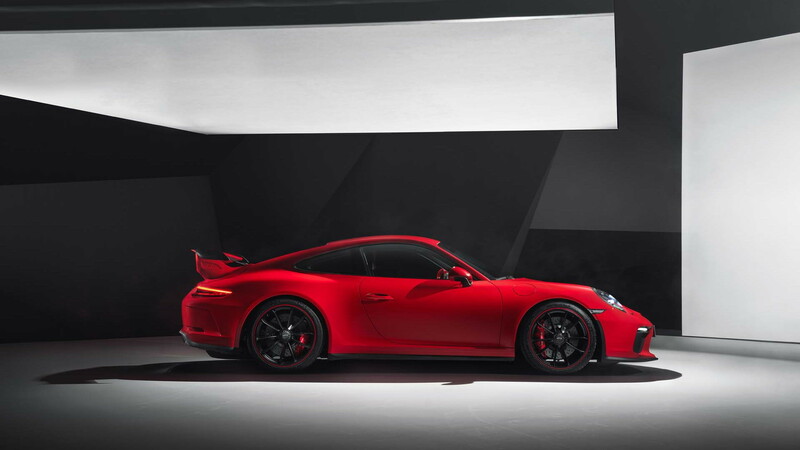 Graciously, Porsche sticks the 911 GT3 to the road with 245/35ZR-20s in the front, 305/30ZR-20s in the back. But it’s a host of diffusers, air blades, intakes, ram air ducts, and a rear wing 0.8 inches taller than most 911s that push the rear end harder against the earth and feed the flat-6 all the oxygen it needs to create free radicals. You’ll never look back at the specs for those figures. You’ll never look back in the GT3 if you can avoid it; that wing cuts the world in two, and renders anything in your rear view a memory. It’s funny at first, to see other 911s and F-Types with smaller power-operated spoilers and to realize they’re not 100 percent serious. Then it’s just a little sad. The GT3 does its best work on your ego. 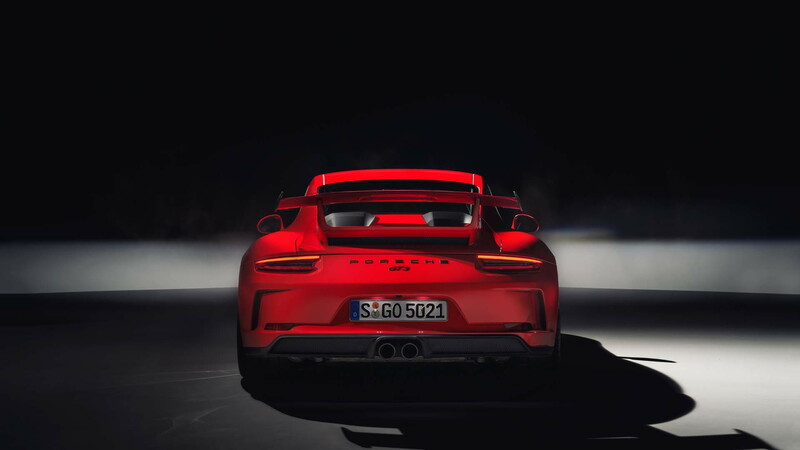 Click all the right buttons, send the PDK and the sport exhaust and the active dampers into their most rigidly defined programs, and the car turns most any driver into a demigod. It hosts a track precision app, nestled within its infotainment display, to measure lap times and grip levels, a fitness tracker for your driving habits. Its sueded wheel seems to connect directly as it caresses corners. Rear-wheel steering dials in 1.5 degrees of opposite lock below 31 mph, but drops out of sight above 50 mph so the natural relationship between wheel angle and tire direction are restored. You don’t want this car every day, unless the roads are freshly paved or meticulously maintained. The adaptive dampers are merely an excuse the get it from two-lane to two-lane. Cracked highways drive the GT3 nuts, send it scatter-brained across bumps like it’s forgotten its keys. A front-axle lift is a must if it’s garaged anywhere outside the coastal plain: a couple of degrees of driveway cant will scrape with the awful noise that only rank amateurs are supposed to make. The few remaining 2018 GT3s aren’t much changed from those in the year prior. A GT Sport-style steering wheel mimics the one in the hallowed 918 Spyder. The only big difference comes with the sticker price. You can’t put a number on feel-good driving. You can put a tariff on it. The base price for the 2018 911 GT3 is $144,650. Add composite brakes, front axle lift, LED headlights, full bucket seats (if your hips are slim), $4,220 worth of Chalk paint, and silver gray seat belts, and you’re in for $168,520. 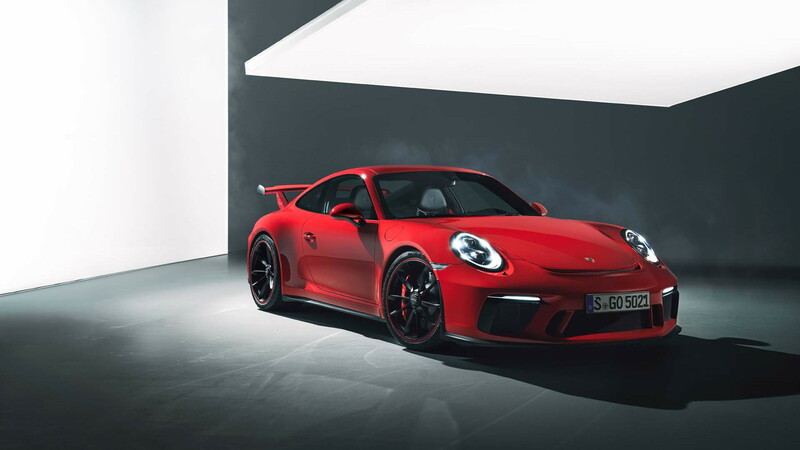 Or you can line up for the 911 GT3 RS, which gets hood ducts and other aero for twice the downforce of this car, as well as 20 more horsepower and 8 additional pound-feet of torque. It’s two ticks quicker to 60 mph, but has no manual option and has a few thousand more dollars tacked on its out-the-door price. I head in the door and duck a little into the low-ceiling gas-station food stop, then pull out an unwelcome smartphone and tally up the differences. A pastor’s working his fevered pompadour on dialing-for-dollars TV. The chicken livers smell fried, and fried right. I don’t eat chicken livers.